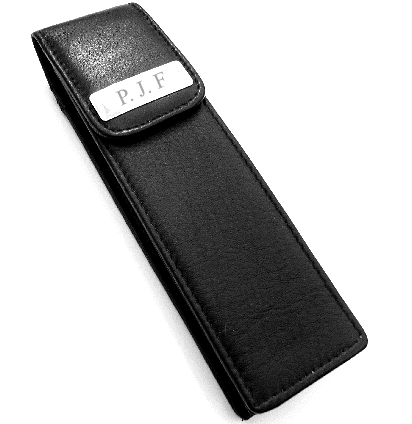 Quality leather pen case. 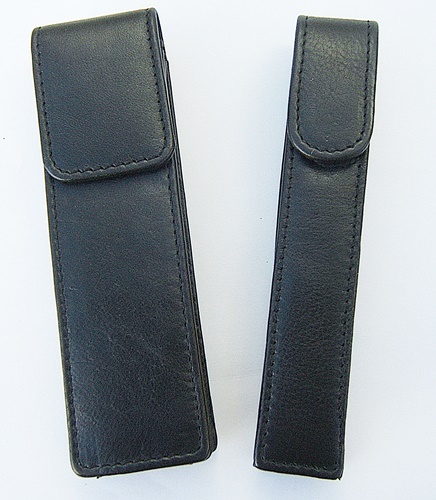 With magnetic close flap or slip options. 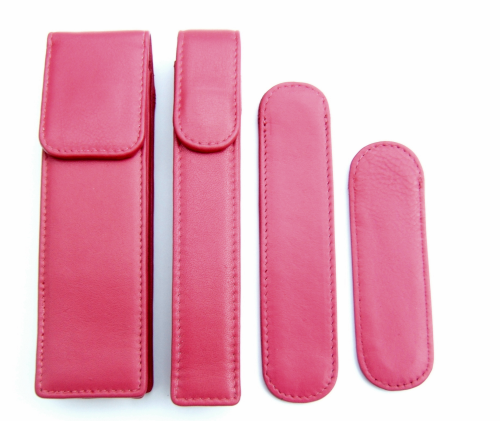 All leather with pen dividers. Flap cases have expanding gusset. 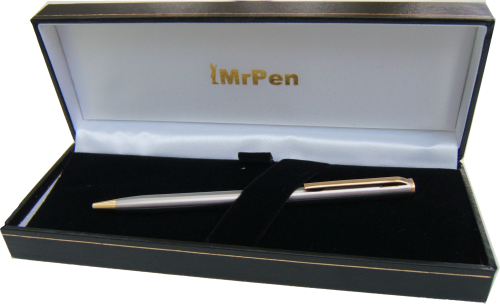 Gift Case for your existing pen. Black Leather-look covering with gold tooling. White Satin roof liner with 'MrPen' logo. Pen platform takes two pens comfortably, three at a push. Under platform there is room for refills.